Staff poised to serve 20,000 children and families with safe water. Lifewater International announced the opening of its newest Uganda field office in Kaliro this month. The Kaliro office and staff will implement plans to ensure residents living in remote areas of the district will have permanent access to safe water, sanitation, and hygiene education, starting with a multi-year program reaching 20,000 people. The Uganda field office in Kaliro is home to Lifewater’s Country Director in Uganda, Alex Mbaguta, and Ugandan staff. These eight field office staff and headquarters program staff work together to plan, equip, and evaluate the work being done in underserved communities in the region, with the Kaliro office responsible for all aspects of implementation. 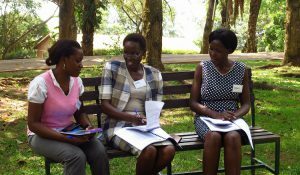 All eight field office staff are Ugandans, and all bring with them experience and expertise in community and WASH development. In March, Kaliro office staff participated in a three-week Lifewater training to equip them with the tools necessary to launch this program as well as to learn Lifewater’s Vision of a Healthy Village strategy. Over the next few years, staff operating from the Kaliro office will visit every household at least once per month to help families establish behaviors that will make them healthier and require no external funding, like using improved pit latrines and washing hands with soap. Lifewater staff in Kaliro will also work with local government and community leaders to establish access to safe water closer to home and community water committees equipped to maintain the water point for many years to come. The program aims to bring the rate of sustainable access to safe water to above 80% in the region. Additionally, Kaliro staff engage local primary schools and teachers to ensure children have access to education through improved WASH in their school. They support student health clubs that use peer-to-peer education to transfer knowledge about healthy behaviors that can save lives, and Lifewater will help install several blocks of boys and girls latrines at the schools, which will help stop the spread of water-borne diseases and give students, especially girls, the dignity of a nearby, private place to care for themselves. From the Kaliro field office, Lifewater staff will begin a detailed baseline survey using real-time data monitoring system Akvo in April. 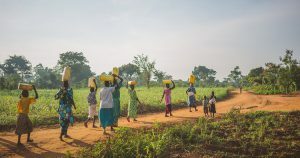 The Kaliro office is the first Uganda field office for Lifewater, and joins the West Arsi, Ethiopia office as the first Lifewater offices in East Africa. Future field offices are set to open in Southeast Asia later this year.